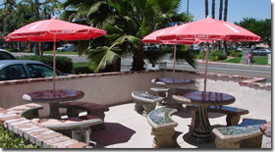 About Us, Milanos Pizza and Italian Restaurant, Hemet CA. The owners of Milano's Pizza and Italian Restaurant in Hemet are Frank and Jeff. They lead a professional staff that provides excellent food and service and bring good food, family and friends together. No matter what the occassion is—choosing Milano's Pizza and Italian Restaurant to be a part of your special occasion will enhance your event. Milano's Catering Services are available for your off premise dining occasions.